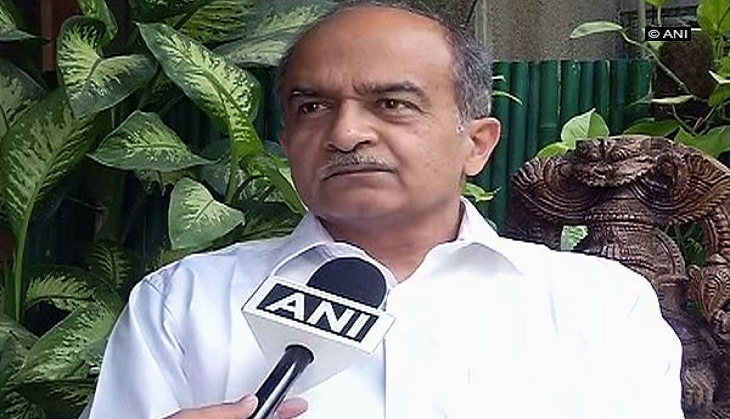 Following the Aam Aadmi Party (AAP) showing a "live demonstration" vindicating its charge of Electronic Voting Machine (EVM) tampering, senior lawyer Prashant Bhushan called on the Election Commission to introduce the VVPAT machines as quickly as possible. "It's very important to understand what was shown in the Delhi assembly yesterday and what it implies. It was shown that the EVM which looks like the EVM used by the EC can be hacked if it has different chips or micro controller. The chips used by election commission in their EVMS are not capable of being manipulated through any software, however there is no evidence. It shows that it is possible for such a thing to happen," Bhushan told ANI. He further said that the poll panel must bring VVPAT machines, as directed by the Supreme Court by 2019 elections. Coming down heavily on the Bharatiya Janata Party (BJP) over the EVM tampering row, the AAP yesterday staged a "live demonstration" of alleged EVM manipulation in the Delhi Assembly.